I have spent a lot of time on this. I know nothing about this kind of stuff before. Also, I’m not that familiar with the C++ programming pattern. For PA2, the teacher’s code include a “singleton pattern” which confuse me a lot at the beginning. After I read the book and look for the website, I learnt that this is a very common design pattern, which help creating a global single object, I think I should take some time to learn something about that. I have no idea how to deal with everything at the beginning, but some of my class mates finish their homework very fast, which makes me under pressure. I check my classmate Weixing An’s code, and under how the whole system working. I write my code referenced his code at first, and finally finished non-fixed block part for this assignment. Two weeks later, after the midterm, I finally got some time to re-work on this Memory System. I read the book Memory Allocation Chapter of “Game Engine Architecture”, which helps me understand why we need to do this and how to adjust alignment. This time, I delete all my previous code, and write it from blank. I finally finished the normal and fixed block, which, I think, should follow the design better than others students. This assignment helps me a lot on the understanding of memory stuff. It’s a general-purpose facility, need to handle a lots of management. In most operate system, call malloc and free must context-switch from user mode into kernel mode. We need to count the current usage memory, allocation times, and peak memory usage for debugging and improving performance. We can improve the problem of fragmentation, like design the memory as a stack or pool. Store the information for each block. Include 4 pointer for two double links. Store the information for each heap. Include 2 pointer for Heap links. The structure in the Heap class storing the heap block information. Store the whole memory system information. Store the head pointers point to Heap list head and Tracking Block list head. The structure in the Mem class storing the memory system information. 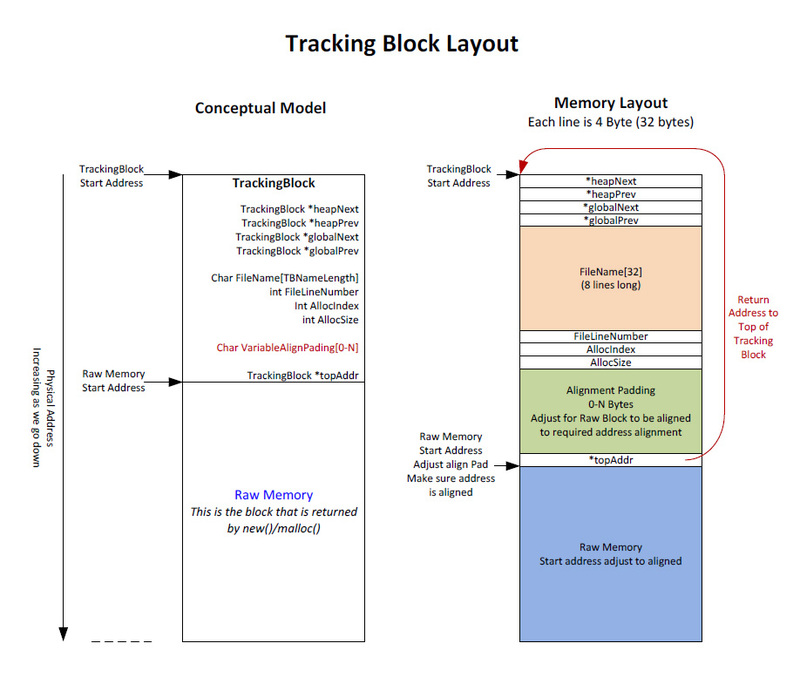 To use our memory system, it means, we create our object into the memory where the tracking block is, and use tracking block to manage them. So we need to overload original new and delete to offer these function. Out new function should return the pointer that points to the raw memory in the tracking block. 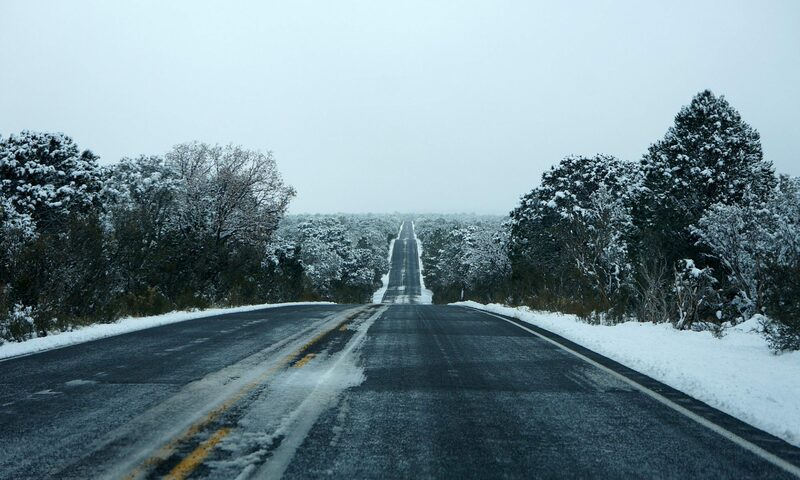 Data should be stored in alignment. The return pointer of the new operator should be aligned. To adjust the data to be aligned, we should put an extra padding in each block’s tracking block. And, when delete, we need a return pointer to get the Tracking block. We can store it in the 4 bytes just upon the raw memory. Only one Mem object is created in the whole system. We use a singleton pattern to design it. Get the memory from system memory. Allocates a block of memory from a heap. The allocated memory is not movable. “new” an object at the pointer’s memory location. Help us put the Heap head object in to the heap’s real memory location. There are two way to new and delete the system. When new, get the first node in the free memory linked list, unlink the node. When delete, relink the block in to the free list. Inside heap tracking block list. 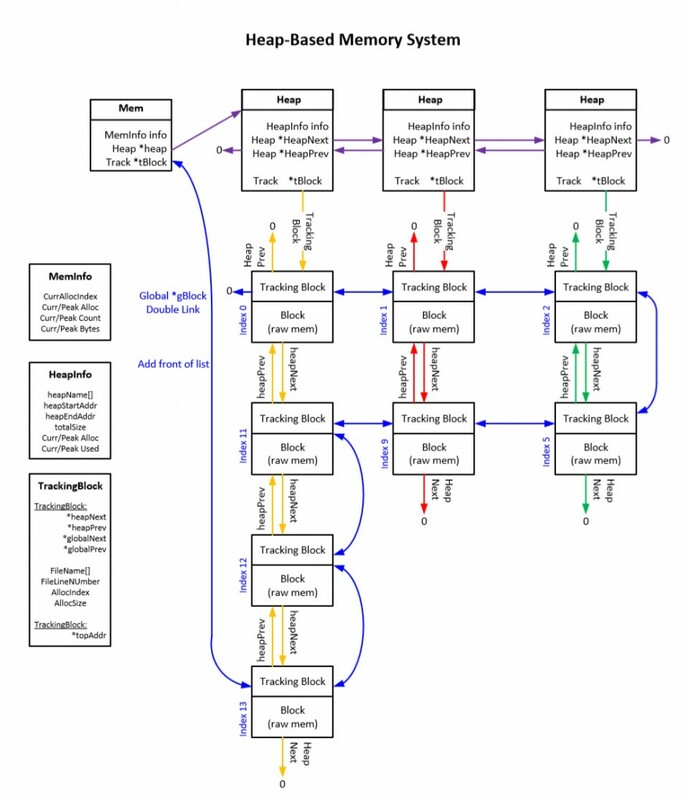 A global linked list to track every allocation. When we destroy a Heap, we need to first remove all the tracking block, so the global list will not mess. Here are something that I haven’t deal well when I do the assignment. Need to rework when I have time. All two kind of heap has a fixed size, how the deal with the issue, if I allocate more memory than it could offer. The alignment might cost too many memories, need to make it better. This is the hard part of the engine, it took me a little bit longer to understand the detail, and make me about 1 week behind the class. In the assignment PA2, it’s important to understand this. Here are my reading notes for Game Engine Architecture Page 205 – 215. C++ malloc(), free(), new, delete operator is slow, because they have to meet any different situation and need to context-switch from user mode to kernel mode. Implement custom dynamic allocation for games. Pre-allocate the memory at the beginning of the game. Keep heap allocations to a minimum, and never allocate from the heap within a tight loop. Allocate a large contiguous block by malloc(), new, or declaring a global array of bytes. A pointer to top of the stack is maintained. Add/Delete from top, memory cannot be freed in an arbitrary order. A single memory can contain two stack allocators. One from top, one from down. Perfect for the allocation of lots of small blocks of memory which are the same size. Pre-allocate a large block of memory. Pre-allocation size should be exact multiple of the size of the elements that will be allocated. Each element in within the pool is added to a linked list of free elements. Whenever an allocation request is made, simply grab the next free element off the free list and return it. When an element is freed, track back it onto the free list. 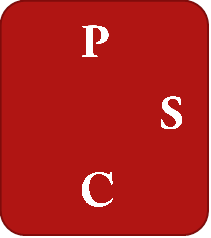 Single linked list pointer can stored in the free block. Every data and variable has an alignment requirement. All memory allocator must be capable of returning aligned memory blocks. Allocate a little bit more memory than was actually requested. Adjust the address of the memory block upward slightly so that it is aligned properly. 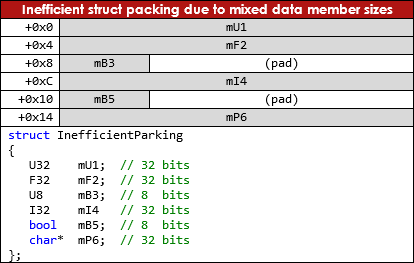 Mostly, additional bytes allocated is equal to the alignment. Add adjustment bytes to the original address. Need to store original address in the byte immediately preceding the adjusted address for free(). Adjustment will never be more than 256 so only 1 bytes will be used. // freeUnaligned() if alignment == 1. // Determine total amount of memory to allocate. // bits of the address, to determine how "misaligned"
For temporary data storage for games. A block of memory can be allocated and used the only in the current frame. Clear every frame. Requires a reasonable level of discipline on the part of the programmer. Only valid on current frame. Never cache a pointer to a single-frame memory block across the frame boundary. Useful for caching the results of asynchronous processing on a multicore game console. Teacher mentioned this in class, but I don’t understand at all about these stuff at that time. So I read the Game Engine Architecture page 121 – 128, which helps me a lot. Here is the reading notes. Put larger data type on the top in struct to fit the alignment. Add explicit padding to the end of the struct manually. When small data members are interspersed with larger members, it will leave “holes” in the layout. Many modern CPU can only read and write aligned block of data.Every data type has a natural alignment which must be respected in order to permit the CPU to read and write memory effectively. Re-arrange the members by putting largest member on the top. Add explicit padding to the end of the struct manually, to make the wasted space visible and explicit. It’s better to make the padding visible by manually add them to the end._pad and _pad will be add automatically by compiler in to struct anyway in order to guarantees all subsequent element in an array will be aligned properly. When B inherits from class A, B’s data member simply appear immediately after A’s in memory. Each new derived class tacks its data member on at the end. Game programmer usually prefer to avoid multiple inheritance altogether. 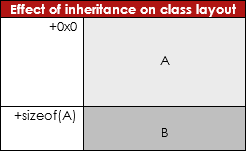 If a class contains or inherits one or more virtual functions, then four additional bytes are added to the class layout, typically at the very beginning of the class’ layout. These four pointers are called the virtual table pointer or vpointer, because they contain a pointer to a data structure known as the virtual function table or vtable. The vtable contains pointers to all the virtual functions that it declares or inherits. Every concrete class has its own virtual table, every instance of that class has a pointer to it, stored in its vpointer. virtual void Draw() = 0; //pure virtual - no impl. For the first assignment, I learn how to deal with the test. Actually I just took Data structure class last quarter, so everything here is not that unfamiliar with me. It just complex a lit bit from the stuff we learnt from data structure class. I haven’t spent much time on the assignment. But this is still a good recall of my understanding of data structure. What is a PCS Tree? 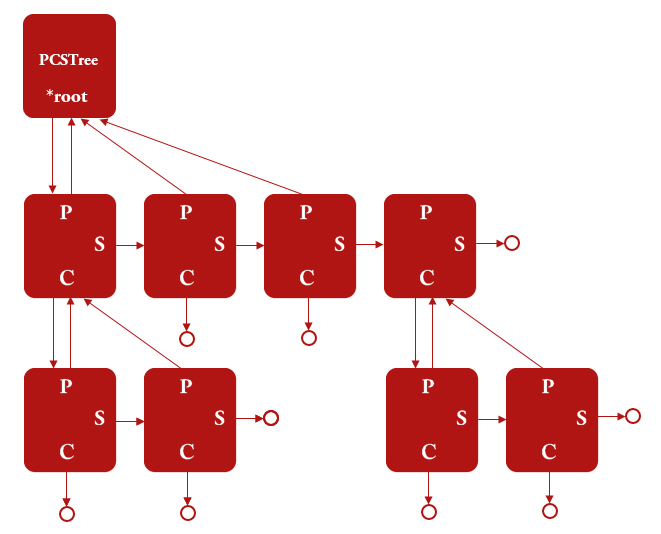 PCS Tree is a data structure used to store a hierarchical tree in form of a set of linked nodes. Each node in the tree can be a Parent, a Child or a Sibling of another node. Each parent node has one link to its first child only. The child nodes of a node are connected as a one-way linked list. There are maybe various applications of PCS Tree. You may want to use it to store a directory structure inside an archive. Or it can be used to store data in a GUI control like QTreeView. In games, PCS Tree can be used to store a hierarchy of 3D objects. Each node will represent one object so that transformation applied to an object will affects all its child objects and grandchild objects. Adding node is very fast. Seeking and removing speed is OK.
Can get parents and children fast. Sorry that I was not able to create the blog in time, because I’m kind of stack on some problems at the beginning of this term. I move very slowly because I was still not that familiar with C++. It becomes much better after several weeks. Now I get some time to make up for my missing Blog. I decided to write a summary for each topic we talked in class as a review for the course. The first is the object system. Object is the container to holds data, it associates like object together. It can hold different types of data. They generally don’t care what type of data to hold. Provide manipulation to the object system. Searching/Retrieval: Walking the list, finding particular object. Help to identify which object is what. String Names, performance is low. Unique numbers, better choice, can be hash from a string name. Think about who should own the data before declaration. Where every bytes of data are all times. Number of objects and types. Group by functionality / types. Memory, performance usage needs to be finite and understood. Unique the type of data be stored. Make the specific data types.